There’s something authentic and immediately likeable about Trevor Panczak and his music. The Alberta-based award winning country music entertainer writes, interprets, and records songs that speak to one’s heart in a way that is simple and soulful with an appeal to a broad array of music fans. Trevor is as real and honest as you can get. He last performed at Horizon Stage in 2011 and the theatre is happy to welcome him back as the closing artist in their 2018-19 Season on Friday, April 12 at 7:30 p.m.
With a delivery that is sincere, without lapsing into sentimentality, Trevor’s understated approach relies on a passionate heart that believes in the importance of connection with people through the medium of music – to brighten their day, to get them to think and feel, and to have someone who can express their dreams and desires, heartaches and hard times in a way that is genuine and heartening. Trevor’s 2017 album, Where I Go To Come Back, is a truly definitive collection of 13 songs that are a perfectly balanced blend of old-school Country storytelling, with the feel and textures of modern recording. Tracks like “For a Girl”, “Cheap Shades” and “Blame it on the Whisky” have easy to connect with lyrics and memorable choruses. His two previous EP’s, 2008’s Roll On, and 2010’s Another Day, Another Dollar, sold over 25,000 copies between them. 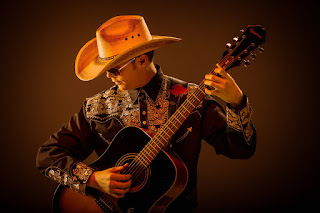 In recent years, Trevor’s reputation for superior showmanship and sheer entertainment value has seen him sharing the stage with the likes of legendary country acts such as Zac Brown Band, Michelle Wright, Keith Urban, Clint Black, Lady Antebellum, Tim McGraw, Don Williams, Washboard Union, Brett Kissel and most recently Mark Chesnutt, Kasey Musgraves, and the legendary Willie Nelson. Trevor is easily one of Southern Alberta’s most respected and beloved country artists. Part of this goes back to his affable charm, the approachability of his personality, and his music. It is also because, from the earliest days of his career, he has given back to his community and province at every opportunity. In recent years he has helped raise over $350,000 for local charities including STARS Air Ambulance, The Lethbridge Therapeutic Riding Association, Ronald McDonald House, as well as a Red Cross fundraiser for victims of the 2016 Fort McMurray fires. “I just love to do community work and give back to the people who have given so much to me,” he says. 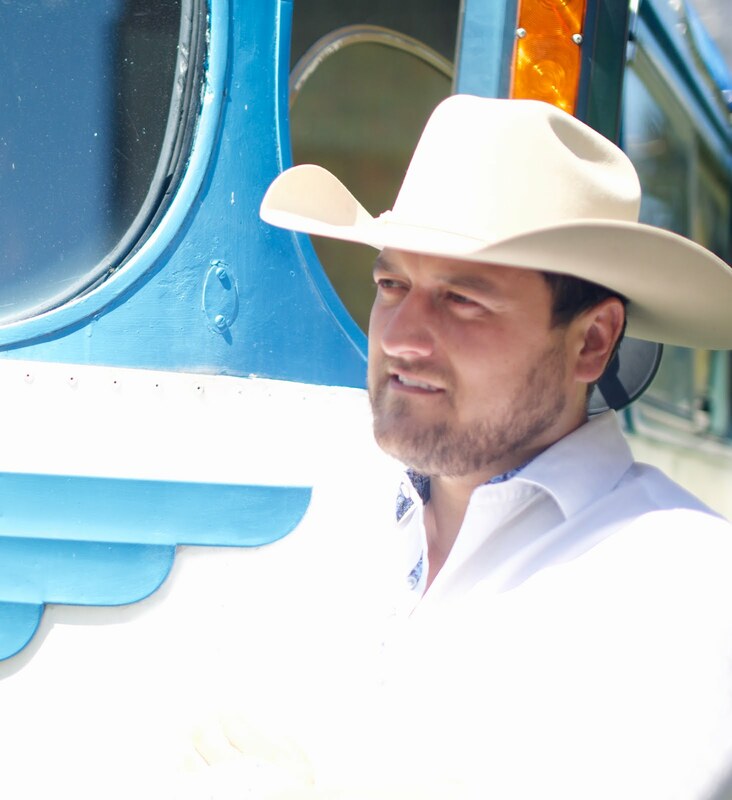 Enjoy a night of candid, compelling, and catchy country music with Trevor Panczak at Horizon Stage on Friday, April 12 at 7:30 p.m. Tickets are $35 for Adults and $30 for Students and Seniors and may be purchased at the City Hall Ticket Centre (315 Jespersen Ave), by phone at 780-962-8995 or 1-888-655-9090, and online through Ticketpro.ca. The first of its kind at Horizon Stage, the Emerging Artist Showcase featuring Nuela Charles on Tuesday, April 9, will allow you to sample the work of four up-and-coming artists alongside a well-established headliner. 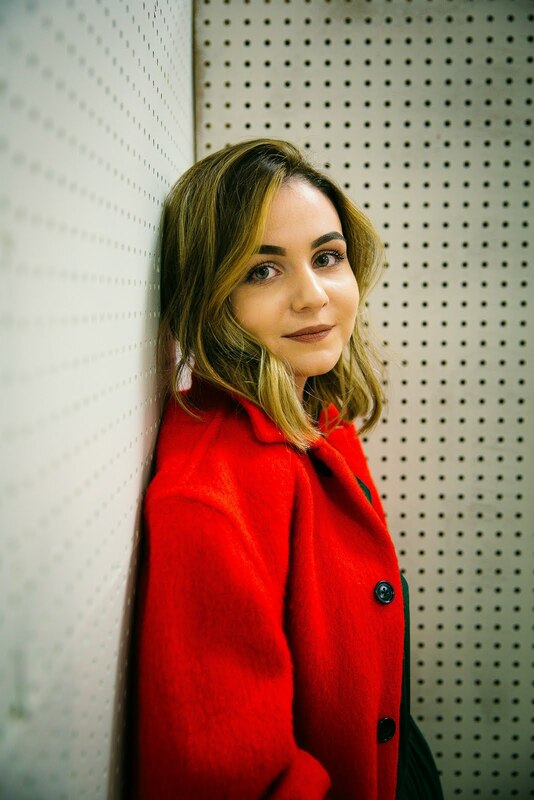 Audience members will enjoy short performances by indie-folk singer/songwriter Keltie, local alternative rock trio Hack, and Edmonton-based indie-bluesy-rock band Hewson Grey. 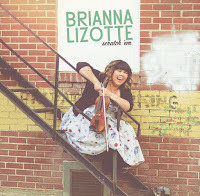 Intermission will feature live music in the lobby by Metis fiddler Brianna Lizotte and complimentary desserts. After intermission, Edmonton-based contemporary singer songwriter Nuela Charles and her band will play a 45 minute set featuring music from her Juno-nominated albums. Keltie is a singer/songwriter from Sherwood Park. Her style is unique and can best be described as alternative with crossovers into folk, roots, & rock. She engages audiences with her authenticity and extraordinary sound. She has won an Edmonton Music Award and was a CBC Searchlight finalist in 2017. Hack is a small alternative rock band originally out of the Westlock area. They have performed at the Hollywood Jamboree in Jarvie and at Stage North in Slave Lake. For this Emerging Artists Showcase they will share a few upbeat acoustic originals and a couple covers. The members of Hack are Koltan Potts (guitar and lead vocals), Matthew Seskus (guitar), and Curtis Paine (drums). Hewson Grey has a super-cool vibe that is a complex mesh of indie, alternative, bluesy rock, and ambient psych. 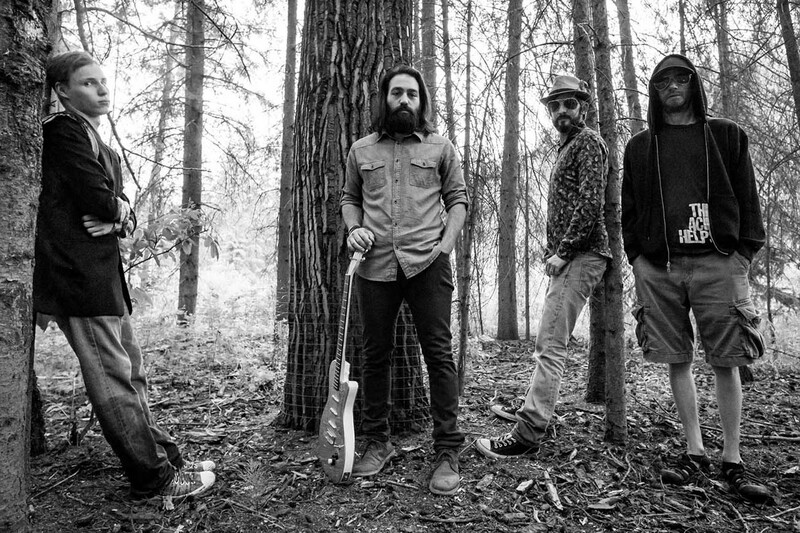 Rocking the charts and gaining airplay across Western Canada, highlights from their last year include performances at K-Days, the Starlite Room, and the Forge on Whyte, headlining Friday night of East Coulee Springfest (2018), and various other festival appearances around Alberta. 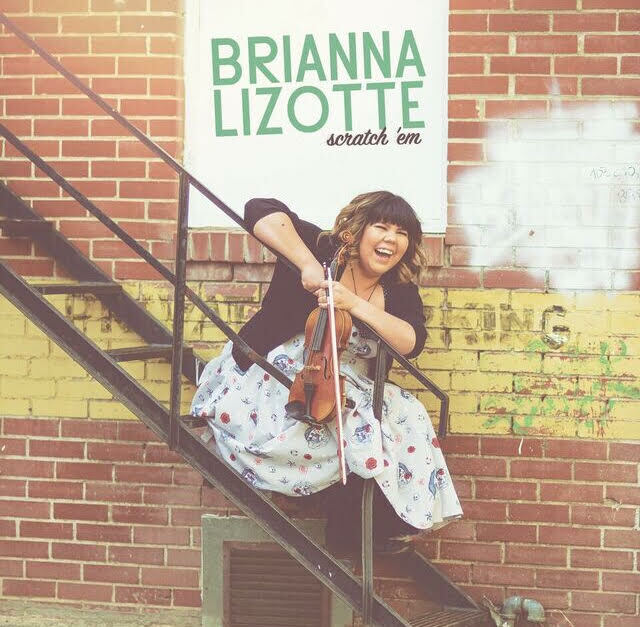 Brianna Lizotte is most recognized for her old time fiddling and from performing with the award-winning Red Deer Royals Marching Show Band. Having only taken up the fiddle seven years ago this young Albertan has performed in Western Canada and Europe and received the Rising Star Award from The Alberta Men and Women of Country Music. Brianna is an artist, teacher, and community leader, and is deeply proud of her Metis heritage. Nuela Charles is an alternative/soul artist from Edmonton who is known for her expressive vocals and captivating stage presence. Nominated for two Juno Awards (2018 & 2019) Nuela has brought her distinct voice to various stages across North America, headlined at the Edmonton Jazz Festival, and opened for Ziggy Marley. The lead single, “Crumbling Down”, from her 2016 album, The Grand Hustle, was on the CBC Radio 2 Top 20 charts for seven weeks. Newer singles, from her 2018 album, Distant Danger, including “Forecast” and “Do It Right”, have recently been receiving a lot of air play on CBC Radio One. Find some musical gems. Spend the night exploring new music and artists at the Emerging Artist’s Showcase at Horizon Stage on Tuesday, April 9 at 7:30 p.m. Tickets are an affordable $15 for all ages and may be purchased at the City Hall Ticket Centre (315 Jespersen Ave), by phone at 780-962-8995 or 1-888-655-9090, and online through Ticketpro.ca. Known for her smoky voice and infectious warmth, Krystle Dos Santos’ concerts are intimate and otherworldly. Taking new music and, mixing it with the old, she creates something undefined and magnificent. An accomplished singer-songwriter and performer, Krystle brings her eclectic style, powerful vocal prowess, and magnetic charm to every performance. In Motown Revue, she pairs original soul music with beloved Motown classics made famous by Nina Simone, Stevie Wonder, Aretha Franklin, and the Supremes. 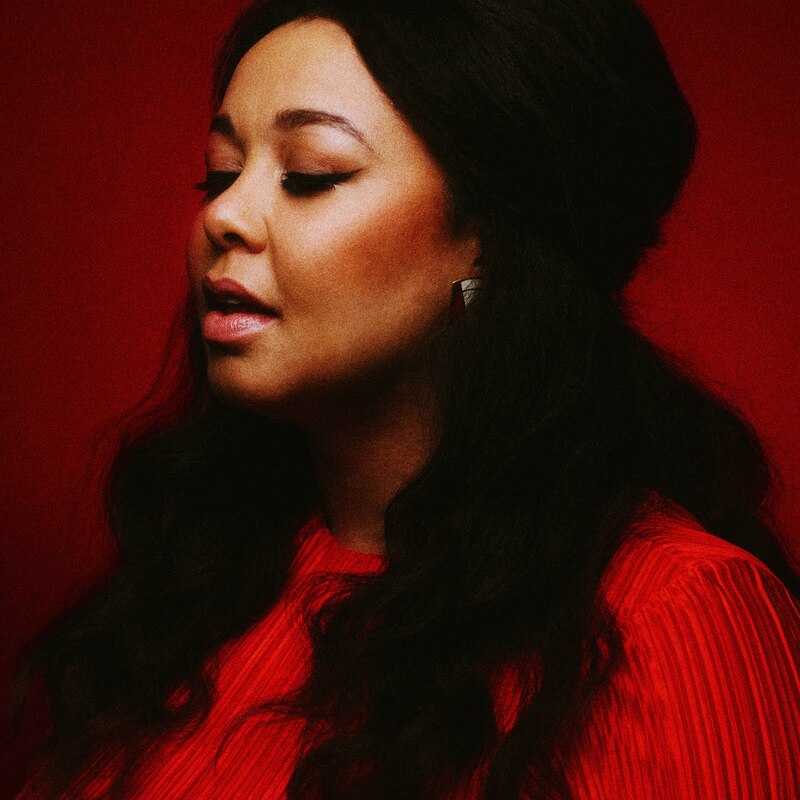 Krystle and her band will have the audience grooving in their seats at Horizon Stage on Saturday, March 30 at 7:30 p.m.
A graduate of the Canadian College of Performing Arts, Krystle Dos Santos released her self-titled debut, award-winning album in 2008. 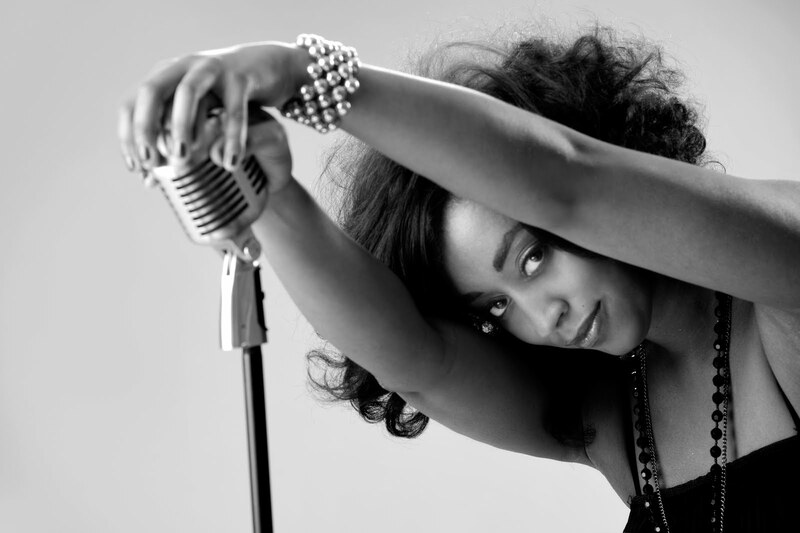 She was instantly recognized as a force by the Western Canadian Music Awards, winning the Urban Recording of the Year. That same album charted for six weeks on CJSR FM88’s Urban chart and was top ten on 92.5 The X in BC. One of the singles from the album even appeared in an Episode of ABC’s Samantha Who? Krystle completed her second album in 2011. Femme Fatale, as it was aptly titled, again revealed Dos Santos’ versatility and her ability to capture the audience with an eclectic mix of dance and funk, but always with the soulful jazz vocals for which she was becoming renowned. With key performances at the Edmonton International Jazz Festival, Whistler International Film Festival, and the Honey Jam Showcase in Toronto, Krystle has had many opportunities to put her live shows on full display. She has performed on stage with Stevie Wonder, in the musical Dreamgirls, and in her own original productions. These days Krystle can be seen performing regularly on stages in Vancouver with The Lovemakers, in Edmonton with the The Black Mambas, and all across Canada. She last performed in Spruce Grove as part of the City’s 2017 Canada Day Celebration in Jubilee Park. Groove to your favourite Motown songs from the 60s and 70s with Krystle Dos Santos, at Horizon Stage on Saturday, March 30 at 7:30 p.m. Tickets are $35 for Adults and $30 for Students and Seniors and may be purchased at the City Hall Ticket Centre (315 Jespersen Ave), by phone at 780-962-8995 or 1-888-655-9090, and online through Tickepro.ca. RupLoops: The Human Radio is an interactive, live looping performance that uses vocal percussion, rhythmic rhymes, and an arsenal of eclectic instruments from around the globe. 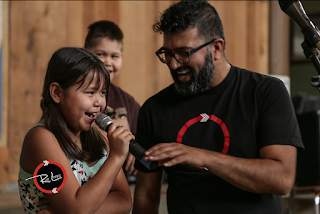 Vancouver-based interdisciplinary artist and facilitator Rup Sidhu utilizes his diverse skills as a musician to create a pulsating, entertaining, and engaging musical experience that is fun for all ages. A gifted performer, Rup has a deep passion for intercultural work and sounds. His show, The Human Radio, will take you on a journey of sound; exploring anatomy, geography, and culture. Through body percussion and beatboxing, Rup demonstrates and teaches how the human form is a musical instrument. Mixing hip-hop, blues, and bhangra, this hour long concert tunes into themes of home, identity, culture, justice, dignity, and celebration. Bring your whole family to RupLoops: The Human Radio at Horizon Stage on Saturday, March 23 at 2 p.m. Inspired by folk and classical forms of music from around the world, Rup’s musical expressions range from groove oriented hip hop beats, to contemporary fusions of classical ragas, scores for the National Film Board of Canada and remixes of vintage Bollywood tunes, to experimental compositions for dance and theatre productions. 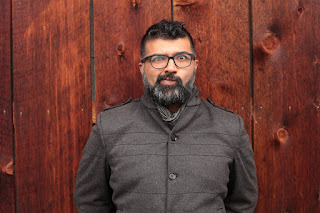 Rup has produced fourteen albums with emerging artists and shared stages with Fred Penner, Raffi, Chugge Khan, Rajasthan Josh, Tanya Tagaq, Michael Franti, Shane Koyzan and Delhi2Dublin, to name a few. Performance highlights include the Jaipur Literature Festival (India), Vancouver Folk Music Festival, Vancouver International Children’s Festival, Aga Khan Museum, World Body Percussion Festival, Globalqurque (USA), Indian Summer Festival, Mehndi, Masala, Musti, Stern Grove Festival (USA), Shambhala Music Festival, Vancouver International Storytelling Festival, Vancouver International Jazz Festival, New Forms Festival, Oregon Country Fair (USA), Fete de la Musique (Germany), and Fusion Festival (Germany). His solo live looping show, RupLoops, has toured to over 300 locations across Canada. Tickets for Horizon Stage’s Family Matinee, RupLoops: The Human Radio, are $12 for all ages and may be purchased at the City Hall Ticket Centre (315 Jespersen Ave), by phone at 780-962-8995 or 1-888-655-9090, and online through Ticketpro.ca. Free pre-show activities will be running in the lobby from 1 - 1:45 p.m.
Also on March 23, before The Human Radio, Rup is facilitating his Raise Your V.O.I.C.E. (Vocalize Our Inner Creative Expressions) Workshop at Horizon Stage from 11:30 a.m. – 1 p.m. Youth aged 7 - 15 are invited to explore vocal percussion, the art of live looping, and song writing to co-create original music that utilizes each of their voices. Live looping is the live recording, layering, and playback of music created in real time using loop station technology. Rup will also teach the basics of beatboxing and Indian vocal percussion to give them an understanding of what he likes to call the “tongue drum!” Students will create improvised and spontaneous compositions, listening to each other and utilizing everyone’s skills. Then they will write original lyrics about what they care most about in the world; ending the workshop with a brand new song that’s ready to be performed or recorded. Work will be done in both small and large groups. If the children play an instrument, they are encouraged to bring it with them. The cost for RupLoops’ Raise Your V.O.I.C.E. Workshop is $15 per child - registration may be done online or by calling 780-962-8995. As an educator, Rup Sidhu has facilitated and taught musical programs in universities, public schools, youth prisons, and communities throughout Canada, USA, UK, and India. He currently leads programs for a variety of not-for profit organizations including the Access to Media Education Society, the Power of Hope, Reel Youth, and the Sarah McLachlan School of Music. He also co-founded Metaphor, a program dedicated to bringing hip hop workshops and performances into schools, detention centers, and rural communities. Coppélia is one of the world’s oldest surviving ballets and one of the most performed comedic ballets. It is a daring, bold, playful story about a beautiful life-sized doll who comes to life and the men who fall in love with her. Touring British Columbia, Alberta, and Manitoba this winter, Canada’s Ballet Jörgen (CBJ) bring their contemporary retelling of this classic fairytale to Horizon Stage on Saturday, March 2 at 7:30 p.m.
Coppélia takes audiences into the mysterious mind of Dr. Coppélius, a lonely and disillusioned toy maker who wishes he could bring a perfect doll to life to become his perfect wife. He creates Coppélia, a life-sized dancing doll so gorgeous that Nathanael, one of the local villagers, falls madly in love with her. Nathaniel’s spurned sweetheart, Klara, enacts revenge by dressing as the doll and pretending to come to life to punish him. Emotional and captivating, Coppélia is one of the best balletic representations of fantastical storytelling the world over and is one of CBJ’s most popular family ballets. Told through vibrant choreography, it features a set of large interlocking geometric shapes which are integrated into the production through intricate scene changes. Choreographed by the award-winning Bengt Jörgen, CBJ’s Artistic Director and CEO, and set to the original score by Leo Delibes, Coppélia is an international co-production with The Hong Kong Ballet. It originally premiered in 2001 and audience members young and old have been thoroughly captivated and delighted by it ever since. Canada’s Ballet Jörgen is a classical ballet company based in Toronto that aims to make ballet accessible and relevant to 21st century audiences. CBJ likes to tell Canadian stories and always reflect a Canadian identity in their programming. As an added bonus, the company’s local participant program will bring local young dancers from Spruce Grove and surrounding areas to join their professional dancers on stage. The local participant program allows the students (age 14+) the opportunity to experience being part of a professional production while also allowing the company to support the local dance community. 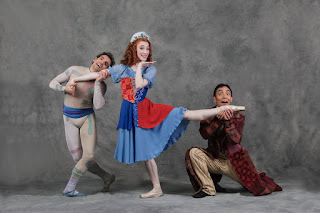 Bring your family to see Coppélia, a real life Toy Story told through dance, at Horizon Stage on Saturday, March 2 at 7:30 p.m. Tickets are $35 for Adults and $30 for Students and Seniors and may be purchased at the City Hall Ticket Centre (315 Jespersen Ave), by phone at 780-962-8995 or 1-888-655-9090, and online through Ticketpro.ca. A musician’s voice mirrors their path through life. Travels, influences, people, and encounters combine to create a unique story. 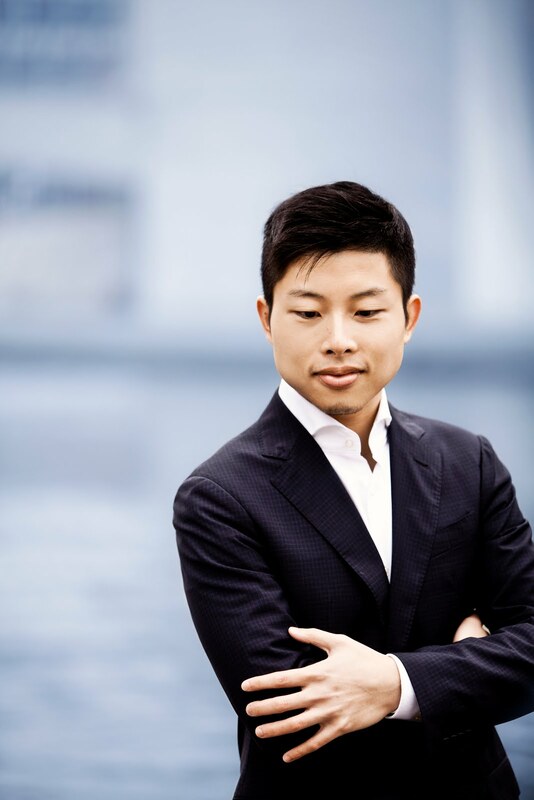 Playing since he was five, and beginning his public career at age 14, Avan Yu has won competitions and awards, performed extensively throughout Europe, North America, Asia, and Australia, and worked with world-renowned conductors and orchestras. In his deeply personal program, Journeys, Avan speaks about his experiences as a pianist, plays milestone pieces from his major performances, and shares music by composers who have shaped his artistic growth. Demonstrating delicate nuances and great technical facilities, Avan is an expressive performer who plays with a passion and freedom rarely seen in someone so young. In a tour coordinated by Prairie Debut, Avan is performing concerts across Saskatchewan and Alberta this winter, stopping at Horizon Stage on Monday, February 25 at 7:30 p.m.
One of Canada’s most exciting young pianists, at age 17 Avan Yu became front page news as the youngest competitor ever to win the Canadian Chopin Competition. He achieved international recognition when he triumphed at the Sydney International Piano Competition in 2012, winning First Prize along with nine special awards. He was noticed by Pinchas Zukerman and Bramwell Tovey who invited him to perform with their respective orchestras, the National Arts Centre Orchestra and the Vancouver Symphony. Since then, Avan has appeared with Yo-Yo Ma, Rafael Fruehbeck de Burgos, Christian Arming, Juanjo Mena, Johannes Moser, and the Armida Quartet. He has performed at the Weill Recital Hall in Carnegie Hall (New York), Concertgebouw (Amsterdam), the Philharmonie (Berlin), the Salle Cortot (Paris), and the Sydney Opera House. From Hong Kong to Vancouver, to living in Berlin, Paris, and now New York, Avan’s destinations are a story of their own. His explorations have shaped both his life and his artistry. His latest recording of Liszt's piano transcriptions of Schubert's Winterreise and Schwanengesang won glowing reviews from critics and fans. Besides playing the piano, Avan has also written for the National Post, he loves studying languages, and in his spare time enjoys experimenting in the kitchen. 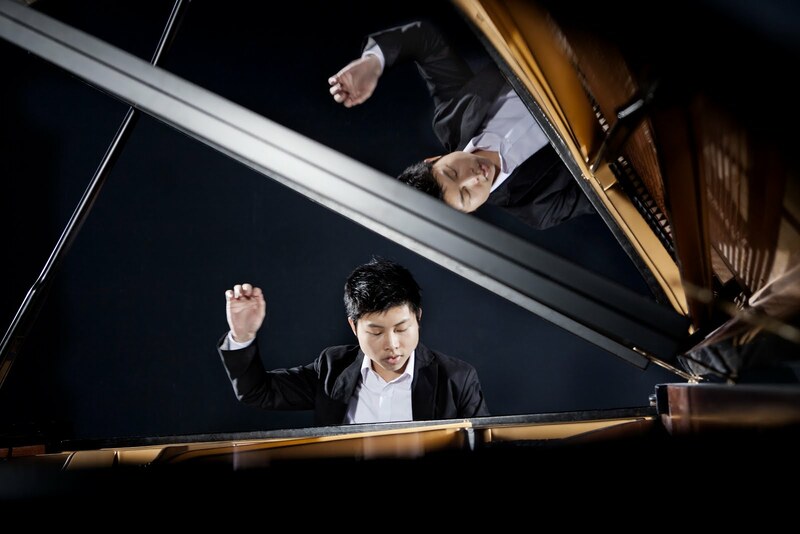 Avan Yu: Journeys, promises to evoke amusement and contemplation for audience members, as they delve into the life-story of a remarkable pianist. Don’t miss Avan Yu at Horizon Stage on Monday, February 25 at 7:30 p.m. Tickets are $35 for Adults and $30 for Students and Seniors and may be purchased at the City Hall Ticket Centre (315 Jespersen Ave), by phone at 780-962-8995 or 1-888-655-9090, and online through Ticketpro.ca. Back by popular demand, The Emeralds are looking forward to ‘polkaing up a storm’ at Horizon Stage on Thursday, February 7 at 2 p.m. As one of our province’s best-known and beloved bands, their music has been a staple at weddings, hall parties, and school dances for many years. This will be The Emeralds 7th concert at Horizon Stage since 1999 and Spruce Grove loves them! Since their formation in 1970, The Emeralds have recorded 29 albums - six went gold, two went platinum, and one went double platinum! They have been nominated for four Junos, won an Alberta Achievement Award, and were inducted into the City of Edmonton's Cultural Hall of Fame in 1997. The band has toured the world - but they always enjoy performing for their home audiences the most. 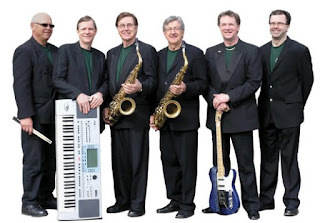 Currently, the Emeralds’ five members are Allan Broder on tenor saxophone and vocals, Wallis Petruk on tenor saxophone, violin, flute, clarinet and vocals, Don Remeika on drums and vocals, Terry Kole on rhythm guitar, banjo, vocals, and voice impressions and Rick Morgenstern on keyboards, bass, vocals and voice impressions. Together, these talented musicians will get your toes tapping, your hands clapping, and your whole body moving. Always fun and full of pep and energy, an Emeralds concert features favourites like “Blue Hawaii”, “Cotton Eyed Joe", “In The Mood”, “Amazing Grace”, “Clarinet Polka” and “Waltz Across Texas”. But it’s their biggest hit, “The Bird Dance”, that was featured on the Hollywood movie sound track for Jimmy Neutron: Boy Genius that gets the most recognition. Fans of all ages love to shake their tail feathers when they hear that iconic “na na na na na na na na”. 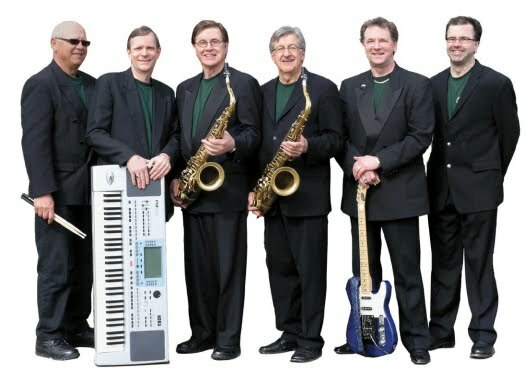 So be prepared to dance in your chair, or take a spin around the front of the stage (we encourage it), and spend a wonderful afternoon with The Emeralds at Horizon Stage on Thursday, February 7 at 2 p.m. Tickets are just $25 for all ages and may be purchased at the City Hall Ticket Centre (315 Jespersen Ave), by phone at 780-962-8995 or 1-888-655-9090, and online through Ticketpro.ca. There are less than 40 tickets left so don’t wait too long to get yours! Legendary Fringe performer Chase Padgett (Six Guitars) returns with another masterful one-man play with some music mixed in. 40 years ago a mysterious acoustic guitarist appeared out of nowhere, conquered the music industry, and vanished without a trace… until now. Padgett becomes manager, mother, mentor, and the prodigy himself, as each tells their side of the rise, demise, and resurrection of the best damn guitar player you’ve never heard of; the Nashville Hurricane. Horizon Stage is excited to present Nashville Hurricane on Saturday, February 2 at 7:30 p.m.
During the course of this 75 minute show the audience learns about Henry Waltrip, aka the Nashville Hurricane. From his humble trailer park beginnings alongside his white-trash mother, Brenda, to the crazy gigs on the road with his blues playing mentor, Tyrone, the stories and songs unfold into hilarious rants about love and music, ending with a blazing acoustic version of “Devil Went Down to Georgia” that will blow you away! Chase Padgett has been an actor and musician for over 15 years. While attending the University of Central Florida he studied and worked at the Sak Comedy Lab in Orlando Fl, one of the best improv companies in the southeast. After graduating in 2007 with a Bachelor of Arts in Music he worked at Walt Disney World and Universal Studios in various comedic and musical roles including custom song writing for special events. In 2010 Chase premiered his first solo show, 6 Guitars, which quickly became one of the most successful shows in the history of the North American Fringe Festival circuit; receiving numerous awards and setting box office records in almost every town it plays in. His second solo show, Nashville Hurricane, has received a similar amount of awards, accolades, and audience attendance levels. In 2014 Chase was hand-picked to perform a sketch comedy showcase for NBC in Los Angeles where he worked with some of the best comedy talent in the field. When not touring or auditioning in L.A. he resides in Portland, OR where he can be seen working with the Curious Comedy Theatre as a writer, performer, improviser, and musician. Chase recently became a honourary Albertan when he got engaged to an Edmontonian. Don’t miss Nashville Hurricane, a riveting tale about the dark side of show biz, at Horizon Stage on Saturday, February 2. Tickets are $35 for Adults and $30 for Students and Seniors and may be purchased at the City Hall Ticket Centre (315 Jespersen Ave), by phone at 780-962-8995 or 1-888-655-9090, and online through Ticketpro.ca. The Young Novelists are a Toronto-based band fronted by husband and wife Graydon James and Laura Spink. Since 2009 they have played stages across the U.S. and Canada, released four full-length albums, won numerous awards, and received continuous praise for their unmatched, effortless harmonies. With a sound that has been compared to everyone from The Band to ‘pre-weirdness’ Wilco, their personal mission is to create sad songs for happy people — whether that means nostalgic ballads or upbeat anthems. The Young Novelists’ ability to tell familiar stories with a modern folk edge make them, and their songs, instant classics. 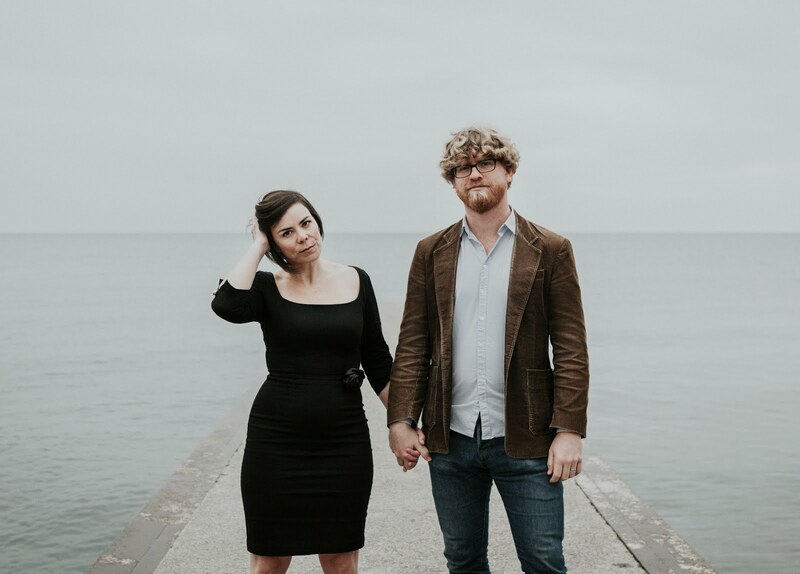 The Young Novelists are touring Alberta in January 2019 and will be performing at Horizon Stage on Friday, January 25 at 7:30 p.m. When they first met, Graydon and Laura had no idea that they would be married one day — much less touring the world together. They both grew up in Ontario; she in Peterborough and he in Verona, a small eastern town with a population of a mere 1,800. They both moved to Waterloo for university, where they met via community theatre; but it wasn’t until Graydon decided to refocus his career from drummer to front man that they combined their talents musically. After recruiting some musicians, and touring the east coast as a six-piece, the band became Graydon James & The Young Novelists. Between 2011 and 2012, they released two albums: live at dublin st. church and in the year you were born. However, it soon became clear that Laura was taking on more lead vocal duties. By the time they recorded their 2015 album, made us strangers, it made the most sense to simply shorten their name to The Young Novelists. Happily, made us strangers, landed them a Canadian Folk Music Award for New/Emerging Artist, a nomination for Vocal Group of the Year, and reached top 20 on both !earshot and Stingray Music folk charts. 2016 was a huge year for The Young Novelists — Laura quit her job as a scientist, they packed their things (and their five year old son Simon), and went on a massive North American tour. After over 100 shows, including a 10-week stint on the road, the pair returned to Toronto to start working on their next album and draw inspiration from their travels. They recorded their 2018 album, in city & country, with the help of JUNO-winning producer Howard Bilerman (Arcade Fire, Leonard Cohen, The Wooden Sky). Recorded at Bilerman’s Hotel2Tango studios in Montreal, the duo returned to their classic him-and-her vocals, with Graydon playing acoustic guitar and Laura on percussion and vibraphone. Don’t miss The Young Novelists at Horizon Stage on Friday, January 25 at 7:30 p.m. Tickets are $35 for Adults and $30 for Students and Seniors and may be purchased at the City Hall Ticket Centre (315 Jespersen Ave), by phone at 780-962-8995 or 1-888-655-9090, and online through Ticketpro.ca. Montréal Guitare Trio (MG3) and California Guitar Trio (CGT) are both powerhouse guitar trios independently. 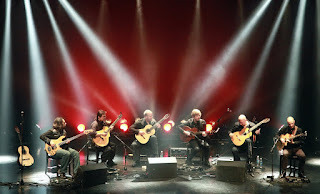 Now they have decided to link their passion, and their talent, in order to create a stunning evening of guitar music; a sextet made in Heaven. 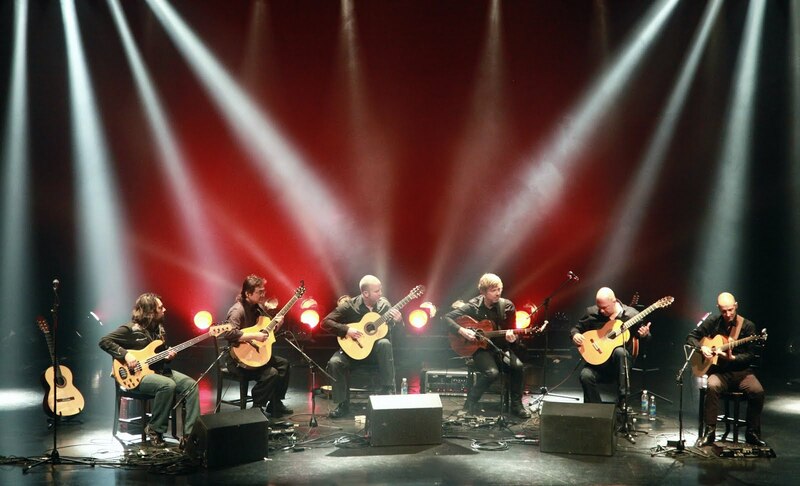 This delightful concert provides the opportunity for audiences to see, and hear, the six virtuoso guitarists devoting themselves to becoming one voice. The program features the music of legendary groups such as Queen, The Beatles, Pink Floyd, and Rush, famous spaghetti western music by Sergio Leone, and several original compositions. Mostly instrumental, with occasional vocals, an evening spent with MG3 and CG3 will make you listen to, and enjoy, guitar music in a whole new way. Horizon Stage is excited to present Montréal Guitare Trio and California Guitar Trio on Friday, January 18 at 7:30 p.m. In addition to dazzling musicianship and interplay, MG3 and CGT shows are full of captivating stories and humor that enable concertgoers to feel like they’re part of the music, not just spectators. The sextet’s goal is to transcend their instruments, so that people focus on the music first, and their considerable technical prowess second. During these groundbreaking, highly-entertaining shows, the trios perform inventive arrangements of each others’ repertoire, alongside new music for guitar sextets. Described by the CBC as the "hottest guitar ensemble in Canada”, MG3 has established itself as a musical force to be reckoned with. For over 20 years, the trio's virtuosity, rigor, creativity, and impressive stage presence have been winning over audiences around the world. 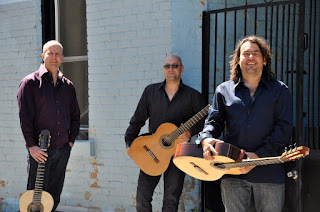 The trio, composed of guitarists Sébastien Dufour, Glenn Lévesque and Marc Morin, have given hundreds of concerts in some of the most prestigious venues across North America, Europe, New Zealand, and Australia. Winner of the 2011 Opus Award for concert of the year in the Jazz & World Music category, MG3 has released seven albums including their most recent, Danzas, in 2017. The universe of guitar knows no boundaries for CGT. Since 1991, the group has enthralled listeners with a singular sound that fearlessly crisscrosses genres. The trio’s questing spirit drives it to explore the intersections between rock, jazz, classical, and world music. Comprised of Bert Lams, Hideyo Moriya, and Paul Richards, the group has established a unique, personal connection with audiences. Their 16 albums, streamed over 65 million times on Pandora, offer diverse snapshots of their mercurial muse. The trio’s most recent release, Komorebi, showcases its acoustic side, with beautiful lush originals and innovative cover arrangements of the Beatles, Beach Boys, and more. The trio’s output has made a major global impact, having served as the soundtrack for Olympics coverage, and programs on CNN, CBS, NBC, and ESPN. They have fans in high places too: NASA used their music to wake the crew aboard the Space Shuttle Endeavour. 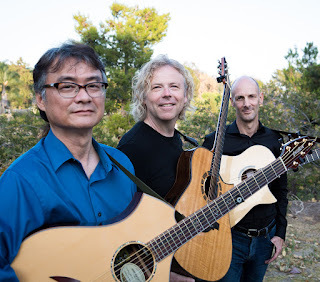 Prepare yourself for an evening of incredible guitar music with Montréal Guitare Trio and California Guitar Trio, at Horizon Stage on Friday, January 18 at 7:30 p.m. Tickets are $35 for Adults and $30 for Students and Seniors and may be purchased at the City Hall Ticket Centre (315 Jespersen Ave), by phone at 780-962-8995 or 1-888-655-9090, and online by visiting through Ticketpro.ca.